Cameco has long partnered with the communities in the Athabasca Basin region of northern Saskatchewan. Home to the highest-grade uranium deposits known on the planet, all of Cameco’s Saskatchewan mining operations are located within this unique area. Many of our operations’ employees and contractors also call this region home. To advance the environmental, social, cultural and economic well-being of residents in the Athabasca Basin region, an industry and regional partnership was formalized in mid-2016. The Yá thi Néné Collaboration Agreement (CA) between Cameco, Orano and seven Athabasca Basin communities (Black Lake First Nation, Fond du Lac First Nation, Hatchet Lake First Nation, Stony Rapids, Wollaston Lake, Uranium City and Camsell Portage) outlines mutual commitments and benefits of continuing our long-term collaboration. Significant progress was made in 2017. 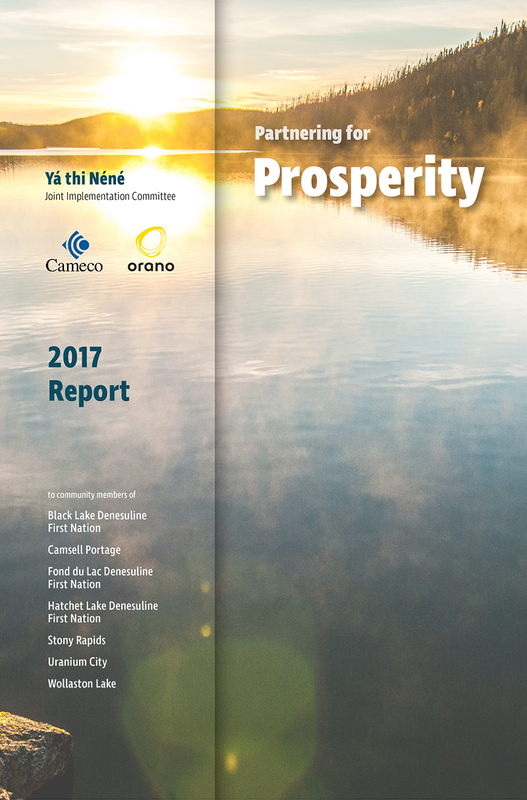 Learn more in the JIC 2017 Report to Athabasca Basin Communities.